Matt's birthday is coming up, and I made his favourite, carrot cake. I was reminded of the time a few years ago when we had an early heat wave with temperatures into the high 90's. Undaunted, I decided to make his cake. 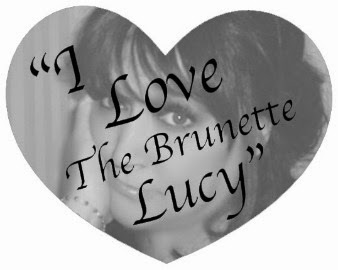 Here's yet another example of how I came to be known as "The Brunette Lucy". My husband, Matt, has always loved carrot cake, and as such, that's what I make him for his birthday each year. I should point out that I have never been, nor will I ever claim to be, a baker. Cooking, yes. Baking, not so much. But, when I was a new bride and unaccomplished baker, I was determined to learn how to make that cake. So, I got a recipe, and began my foray into unknown territory. I shredded the carrots, measured the ingredients faithfully, and mixed it all up. The batter, however, was really dry. And since all my previous baking experience had come from a box, it didn't look right. All I could think of was Matt trying to cut the cake, then needing a power saw to get the job done. I went to the fridge and found half a pint of heavy cream, which I proceeded to pour into the batter. Sadly, I had forgotten that carrots are made up of a great deal of water, which is released during the cooking period. Hence, the initial dry nature of the batter. I found this out when the timer went off and I took the cake out. It wasn't a cake, but more like carrot pudding. I wailed like the Lucy I am. Fast forward 20 years; I had somewhat perfected the art of carrot cake baking. The day of Matt's birthday, however, was one of the hottest days of the year. Turning the oven on wasn't an option. That's when I eyed the toaster oven, sitting there minding its' own business. Would a pan fit into it? A real pan wouldn't, but thank God for aluminum baking dishes. They're malleable. I poured the batter into the pan, and then proceeded to tackle the task of shoving it into the little oven. I pinched the sides, squeezed the corners, and did all manner of vandalism to the defenseless aluminum pan. But doggone it, I got that big pan in that little toaster oven. Unfortunately, I don't tend to think ahead. Carrot cake by its' very nature is dense and heavy. Thus, what came out of the oven wasn't quite as malleable as what went in. When I say “came out”, I mean “wrestled out”. It would have been easier yanking Kim Kardashian out of the spotlight while clinging to the paparazzi for every last second of camera time she could get. Another unforeseen happenstance is that just because you get a large pan shoved into a small toaster, doesn't mean it bakes the same. The top of the cake is very, very near the heating element. This should be taken into account if you don't want a crispy crust, which is desirable for a pizza, but not for a carrot cake. I thought about explaining the dark crust by saying I added chocolate to the mix, but one bite would betray me. I began the arduous task of cutting the burnt crust off the cake. This, unfortunately, caused the cake to deflate. So, there I was, staring at a cracked, jagged, misshapen cake with a cantaloupe size crater smack dab in the middle of it. It looked like something out of a science fiction movie. I've always heard that frosting can cover all kinds of cake-tastrophies; I needed to get me a big ol' vat! So that's what I did. I filled in cracks, patched holes, and mounded mass quantities into the crater. Finally, it looked like a cake. The family began to dig in. I waited with baited breath for the criticism that was sure to come my way when the crater and all 3 inches of frosting were finally revealed. To my great surprise (and relief), they were thrilled. In fact, Matt actually asked how I managed to do that! I couldn't believe my dumb luck; they actually thought I did that on purpose. All was right with the world. And, bonus, I may have stumbled upon a new career - special effects. Anyone have Spielberg's number?